The Murchison Widefield Array (MWA) is one of the new technology low frequency radio interferometers currently under construction at an extremely radio-quiet location in Western Australia. The MWA design brings to bear the recent availability of powerful high-speed computational and digital signal processing capabilities on the problem of low frequency high-fidelity imaging with a rapid cadence and high spectral resolution. Solar and heliosphere science are among the key science objectives of the MWA and have guided the array design from its very conception. We present here a brief overview of the design and capabilities of the MWA with emphasis on its suitability for solar physics and remote-sensing of the heliosphere. We discuss the solar imaging and interplanetary scintillation (IPS) science capabilities of the MWA and also describe a new software framework. This software, referred to as Haystack InterPlanetary Software System (HIPSS), aims to provide a common data repository, interface, and analysis tools for IPS data from all observatories across the world. 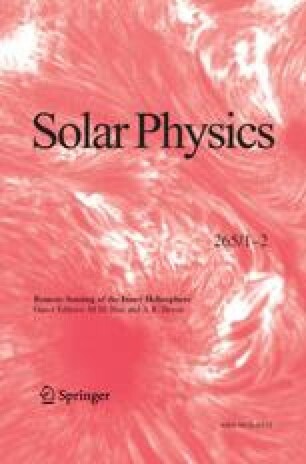 Jensen, E.A., Hick, P.P., Bisi, M.M., Jackson, B.V., Clover, J., Mulligan, T.: 2010, Faraday rotation response to coronal mass ejection structure. Solar Phys., this issue. doi: 10.1007/s11207-010-9543-2. Mejia-Ambriz, J., Villanueva-Hernandez, P., Gonzalez-Esparza, J.A., Aguilar-Rodriguez, E., Jeyakumar, S.: 2010, IPS observations at the Mexican array radio telescope (MEXART). Solar Phys., this issue. doi: 10.1007/s11207-010-9562-z.